This blog describes on Configuring and running the Phoenix from IBM BigInsights. 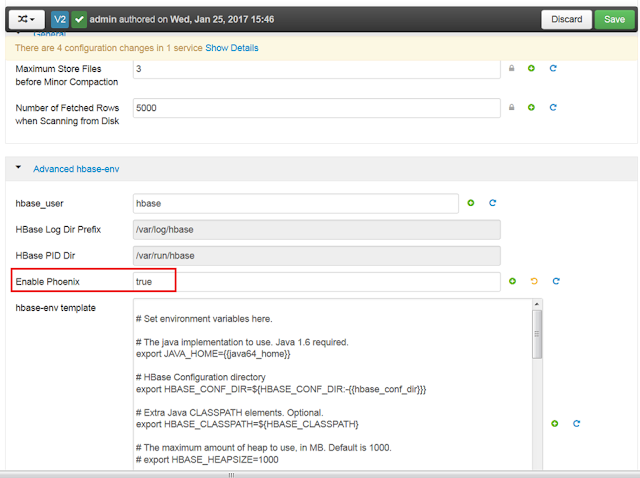 Login to Ambari UI, then go to HBase Configuration and enable the phoenix. Save the changes and restart the HBase. Login to Linux terminal as hbase user and run the below command. 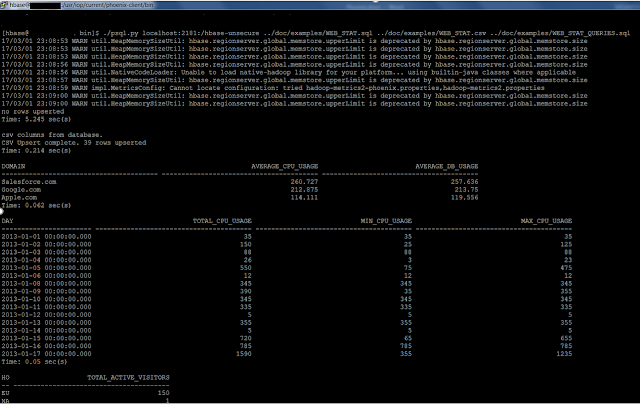 It will create the tables and do some select queries. You can see the output in the console. This section focus on running some queries on Phoenix. Here I am focusing on some basic operations. Create the table then insert some rows and do a select on the table. Here, we are doing a bulk load to the above table. Thus, we are able to configure and perform some basic Queries on Phoenix.